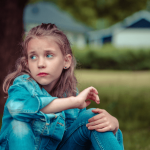 While this article discusses strategies for children with ADHD, many of these strategies can be utilized to help any child with challenging behaviors. Children diagnosed with Attention Deficit Hyperactivity Disorder (ADHD) or who have ADHD-like symptoms frequently have difficulty at school. They often get yelled at, lose recess time, get put in time out, get detention, or get a phone call home. When they get home they may be punished again for their behavior at school or for exhibiting challenging behaviors at home. Consequences in school generally occur when students have trouble in the following areas: following directions, sticking to the class routine, keeping track of assignments, staying seated, staying in their area, working quietly, completing their work, or raising their hand before speaking. Students with ADHD cannot always control their behavior. Actions can come out impulsively before the child has the opportunity to think about or realize the potential consequences. Their actions are not based on willful, purposeful defiance. When children get punished for actions they cannot control, behaviors often get worse. Over time, from being embarrassed in front of peers, yelled at by teachers and/or parents, and punished for things they cannot help, their self-esteem goes down. They feel frustrated and angry and they may shut down (refusing to do work, not communicating their feeling with adults) or their behaviors may increase rather than decrease. While every child with ADHD is different, below are some common characteristics. catching directions the first time (they may be distracted by something else or thinking about something else). remembering directions (they are often thinking of so many things they may forget information that the parent or teacher deems important). controlling their impulses (they may blurt something out, grab something from another student, call out in class, etc. even after being told not to several times). remembering or carrying out multiple steps such as that in a morning routine in class (e.g., unpack, put your belongings away, take out your pencil and morning journal, complete the writing assignment on the board) or for an educational assignment (such as completing a long division problem or planning a school project). Related Article: What are the Symptoms of ADHD and What Can You Do to Help? With the right strategies in place, children with ADHD symptoms can make positive behavior changes in school and at home. Side-Note* All children have exceptional strengths as well. It is extremely important to focus on these strengths, let the child know how proud you are of his efforts, and incorporate strengths into play and learning. As a parent, be an advocate for your child. Work with your child’s teacher, administrator, and guidance counselor to help them understand your child’s symptoms. Let the school know that your child needs to be supported rather than punished for behaviors they may not be able to control. It is important to understand however, that a teacher’s job can be overwhelming. She has 20+ students to manage, lesson plans to write, tests to grade, scores and grades to keep, etc. It can be overwhelming for a teacher to implement all the strategies necessary to support students with behavioral needs like those with ADHD, especially when she may have more than one child with behavioral challenges in her classroom. Despite these facts, your child’s teacher should put forth her best effort to understand what strategies are recommended for children with ADHD or children with challenging behaviors, and try her best to put these strategies in place. 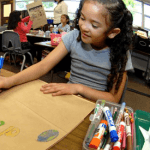 If she cannot meet your child’s needs due to being overwhelmed, the school needs to work with you and her, using a team approach, to figure out how to utilize all possible resources in the building. For example: Can the guidance counselor get involved? Can a peer buddy help? 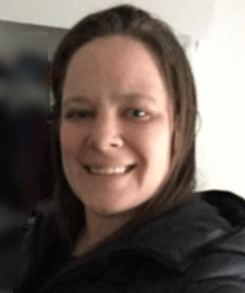 Can an administrator step in? There are a lot of resources in a school that can be exhausted in order to help teachers feel supported when implementing strategies. 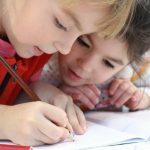 If a child’s needs are so great that they cannot be supported in a classroom with one teacher, even after all school resources have been exhausted, he may benefit from an evaluation by a school psychologist to determine what additional supports through special education he may be eligible for. Special education looks very different than it did in the past. Children can often remain in the regular classroom and receive extra support from a special education teacher or paraprofessional. Children with an official medical diagnosis of ADHD or another condition (e.g., generalized anxiety disorder, depression) are entitled to a 504 plan if their disability is interfering with their academic progress, but not to the point where they are in need of special education (some schools will also consider a 504 plan if a school professional, such as a school psychologist, determines that the student has ADHD symptoms and is in need of accommodations, but is not in need of special education). A 504, also called a Chapter 15, is a legal document that requires your child’s school to provide accommodations for your child, so they are not falling behind their peers due to their disability. Talk to your child’s school for more specific information. You can also read more about 504 plans by doing a Google Search. s a parent, work with the school team to understand the behaviors your child is exhibiting. For example: Is he talking too much and not completing work? Is he out of his seat and calling out? Is he losing his papers and forgetting how to carry out routines? Is it all of the above? Below this list there are recommendations for whole class strategies that benefit all children, including those with ADHD. 1) If a child has trouble sitting still or staying in his seat he should be given opportunities to move throughout the day. It is up to the parents and the school team to work with the child to figure out what type of movement/movement break would be best. 2) Seat the child away from distractions as much as possible. Keep the child seated away from the window, door, pencil sharpener, and talkative peers. 3) Have lists available for students who can read so they can refer to the list for tasks requiring multiple steps (e.g., a list of the steps for the morning routine or a list of steps for long division). Remind them to refer to the list if they forget the steps and do not independently refer to the list. For students who are not yet able to read, try to provide a visual schedule of the steps or give them reminders of the steps if you cannot provide visuals. 4) Chunk classwork into small manageable steps. Give the student a certain task to complete. Check it when done and then give him a break to move or engage in a preferred activity when the task is completed. For example, if the class has to complete 20 math problems, allow the student with ADHD to complete 10, take a two to five minute break and complete the next ten. Make the goal reasonable for the child. Some children might need a break after only five questions. For more open ended assignments such as listening to a class lecture, try using a timer. For example have the student listen for five minutes and write down three important facts, then give the student his break. Also use a timer to time the break time. Allow the timer to dictate the end of the break, rather than you arbitrarily saying “okay, breaks over.” Let the student know the exact plan (e.g., after you write down three facts, you will have a two minute break). 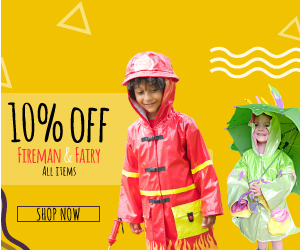 For children who have trouble understanding the concept of time or numbers a visual timer can be helpful because the child can see how much time is left. Visual timers can be purchased on Amazon or other online stores. Just to clarify, this is not indicating that you put time constraints on how long the child has to complete a task. The timer signals how long a child will be working on a task before a break and how long the break will last. See 3 Ways to Use Timers to Encourage Homework and Chore Completion for more information. 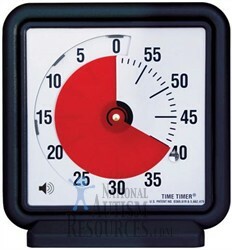 Red Clock Visual Timer – With a red clock visual timer, children can see time running out as the red disappears. 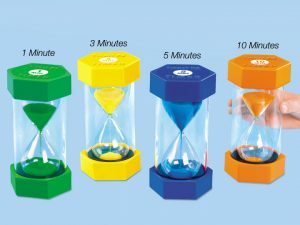 Sand timer – Sand timers let children know that time is up when the sand at the top gets to the bottom. You can even get a visual timer app on your IPhone, IPAD, or Android device, such as the Visual Timer + Time Tracker PRO for the IPAD/IPhone or the Visual Timer by Absolute Attention for Android devices. Graphic organizers can be another great way to help students with ADHD pay attention during lectures. See my article How to Use Graphic Organizers to Improve Reading Comprehension, Writing, Listening, Note Taking, and Study Skills for exactly how to implement this strategy. 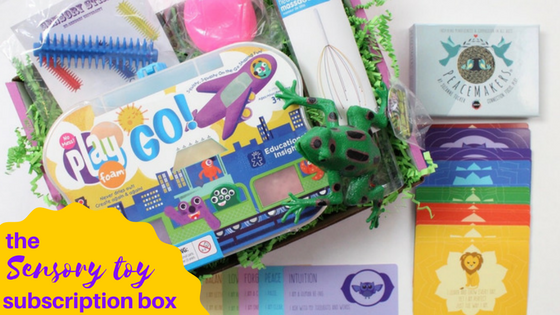 5) Assist the student with staying organized. Show him exactly how to organize his materials and supervise and guide him regularly, while he tries to do it independently. As he becomes more independent with organization, slowly fade out the organization checks. 6) Stay close to the student: Frequently walk by his desk, keep him seated near your desk, or stand near his desk when teaching (whichever strategy makes the most sense for your classroom). 7) Use hands-on and interactive materials to teach concepts. Watch how much attention increases when children have images and materials to handle and focus on while learning (this works well with many children, not just those with symptoms of ADHD). 1) Phrase directives in the positive and use redirection. Tell your students what you want them to do rather than what you don’t want them to do (e.g., “put your pencil down” instead of “stop tapping your pencil,” “look up here” instead of “stop talking,” or “finish writing your sentence” instead of “stop playing with things in your desk,” etc.). Sometimes nonverbal redirection such as tapping the student’s paper to remind him to continue writing or pointing to where the student should be is enough. 2) Post clear rules that tell your students exactly what you expect (e.g., raise your hand, quiet while working, stay in your area) and frequently review these rules. When any child breaks the rules, including a child with ADHD, remind him of the rule in a neutral tone (e.g. when the student calls out point to the rule and say “raise your hand when you have something to say.”). Some children respond to a simple gesture even better than a verbal reminder of the rule. For example pointing to the rule or making a gesture, such as raising your own hand to remind the child to raise his hand. 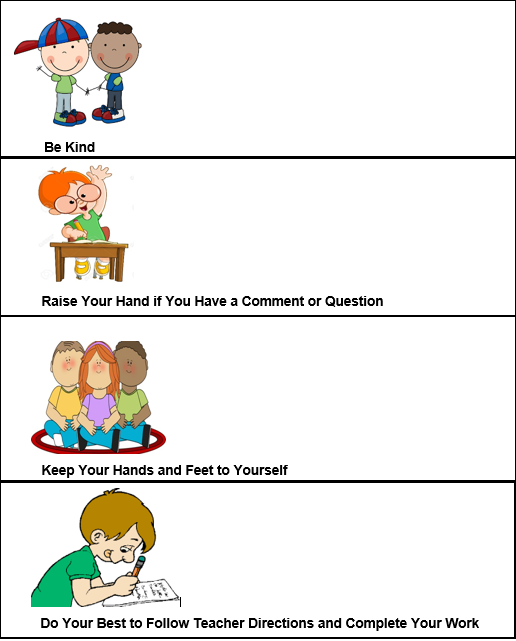 Remember to phrase rules in the positive, “raise your hand” rather than in the negative “stop calling out.” Research (and my own 16 years of experience) shows that children respond better when you tell them what to do rather than what not to do. Implement these rules with consistency. If you allow some of the children break the rules some of the time, you can’t expect children to know when to follow the rules. The expectation should be for them to follow the class rules at all times. 3) Give children choices throughout their day. This gives students a sense of control. Feeling in control is very important for students with challenging behaviors. When they feel more in control they are less likely to defy you because they feel like their opinion matters, which helps them feel respected. Do you want to write your assignment on paper or type it on the computer? Read a page from a book of your choice and summarize the page by either drawing a picture or writing a paragraph. After you complete your assignment, do you want to play a math quiz game or play hangman on the board? 4) Use random selection to call on students, rather than just calling on the ones who raise their hands. 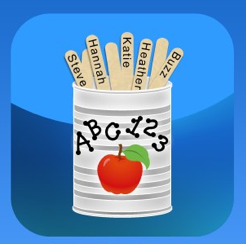 For example, you can write each student’s name on a popsicle stick and put the sticks in a cup. A student will never know when their turn is coming to participate, which will encourage all students to pay attention. 5) Keep lessons short or break longer lessons up into mini lessons that vary in type/style. For instance, talk to the class about how to use the “ch” sound. Have them practice making “ch” words with magnetic letters on a portable white board, then have them write words with “ch” and draw a picture to go with each word. 6) Praise students for following the rules and participating (e.g., “Thank you for raising your hand.”, “You worked very quietly today.”, “You remained in your area during your assignments. Nice work!”, “Great participation during science today,” etc.). This helps with student self-esteem, reinforces rules, and motivates other students to receive the same type of praise. 7) Allow students to earn time to engage in preferred activities for following class rules and completing their assignments. Preferred activities can include movement breaks like the ones mentioned above, class time to play a game, ten minutes of extra recess, 15 minutes to talk to peers, drawing a picture, computer time, or whatever you deem appropriate for your students and classroom. For more ideas for preferred activities check out Break Ideas to Increase Student Motivation. When working with children at home, encourage them to complete homework, chores, and follow rules by using the same methods described above for encouraging compliance in the classroom. Did I miss something? Comment below! Thank you for visiting educationandbehavior.com. We provide free academic, behavioral, and social-emotional support for kids. Browse our topics from the menu button at the top left of the page! Receive our updates on Facebook! Please share this with friends and colleagues!